RSL Art Union draw 355 is now finished, there is now a new prize home, RSL Art Union draw 365. Which is a brand new home valued at $3,317,434. Ticket's do sell fast, so be sure to get in quickly! 16 people voted 4.2 stars. Everyone who wins an RSL Art Union Prize Home Lottery becomes an instant millionaire, but their fortune is usually tied to a luxurious property. Many winners end up putting the home on the market in order to free up some cash to pay off their mortgage, retire early, or do something amazing with their windfall. That can be a hard decision, however, as these homes are always beautifully designed and located on some of the most desirable real estate in the country. With draw #355, you can have it all. The first prize package includes a modern four-bedroom home on the Gold Coast and $1 million in gold bullion. That means you can move into a million-dollar waterfront home in Helensvale and still have a million in the bank. Imagine living this close to the beach with no mortgage to worry about and all that cash to fund your new lifestyle. Put your feet up by the pool or dangle your toes in the waters off your private pontoon. RSL Art Union are limited to selling 2,350,000 tickets, in draw 355. What is your chance of winning this beautiful home? This is the draw for anyone who’s ever wanted to have their cake and eat it too! Helensvale was the first suburb on the Gold Coast to be developed along the hinterland fringe, ideally situated between verdant tropical rainforests and the magnificent beaches of the coast. Approximately 17,000 residents enjoy a relaxed lifestyle just 60km from Brisbane and less than half an hour from Surfer’s Paradise. The brand-new prize home sits on the waters of the Coomera River which in turn leads to the Coral Sea. 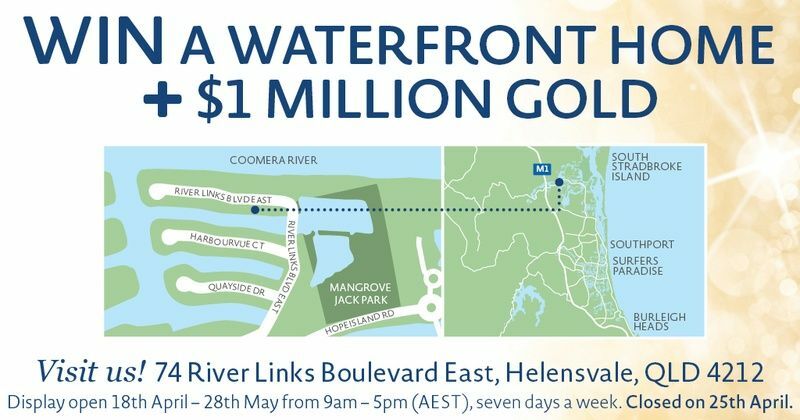 You could spend some of that gold bullion on a boat and go from your own backyard to Main Beach or indulge in a bit of shopping in Southport. By land or by water, all the spectacular attractions of the Gold Coast are within easy reach and every day will bring a new adventure. If you’re a golfer, you’ll have your choice of courses including the Hope Island Gold Course that’s right next door. It was designed by Peter Thomson, five-time British Open Champion, and features panoramic waterfront greens. Your closest beach is The Spit, a 4 km stretch of patrolled white sand that runs from Nerang to Narrow Neck. From there, you can choose your favourite from all the others that stretch along the 66 km of the Gold Coast. 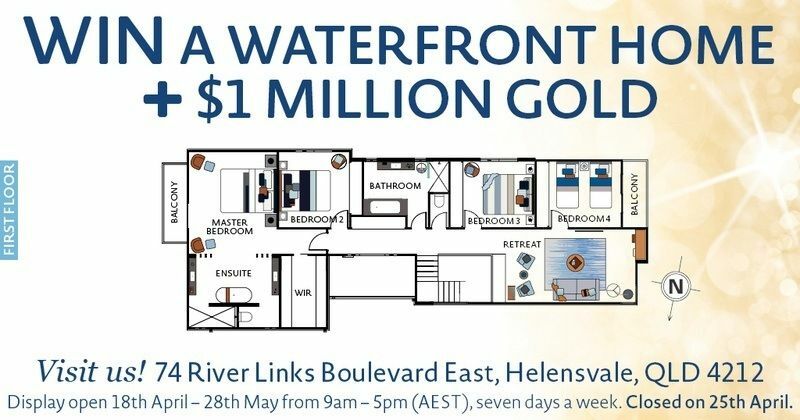 Enjoy all the fine dining, boutique shopping, water sports and hinterland beauty from your home on the water and dream about what you’ll do with all that gold. The luxurious 4-bedroom home in Helensvale is designed for comfort and bathed in style. Clean tiled floors, timbered decks, and a crisp décor that floods the home in natural light. Over $150,000 has been put into the design, furnishings and electricals for the home, and you can see the fruits of that investment in every room. For example, the kitchen is lined with a wall of brick reminiscent of a classy bistro, and everywhere you look you’ll see unique accents of wood, glass and marble. The furnishings bring contemporary style without abandoning comfort, and all complement a soft blue and light grey palette. If you like a choice of places to relax, you’ll find plenty in this spacious home. The ground floor has an integrated living and dining area that opens onto the al fresco. There’s also an incredible media room with what may be the biggest viewing screen you’ve ever seen. Upstairs, there’s another open lounge area with a wall-mounted television and a small study nook. Outside, you’ll have the same variety of places to take in the sun or watch the boats go by. There are balconies on both the front and rear of the home, and a timbered patio off to one side. Beyond the al fresco with its view of the water there’s a pool with plenty of room to lounge on the deck. Drop down one more level and you’ve got a small pocket lawn that takes you onto your private pontoon. Room for everyone, and all of it beautifully accented in dark timber and professional landscaping. 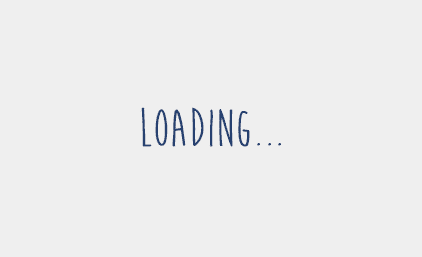 The RSL Art Union Prize Home Lottery Draw 355 closes at 8pm AEST on Monday 28 May 2018. The draw will take place at 10am AEST on Friday 1 June 2018 at ANZAC HOUSE, 283 St Pauls Terrace, Fortitude Valley QLD 4006. 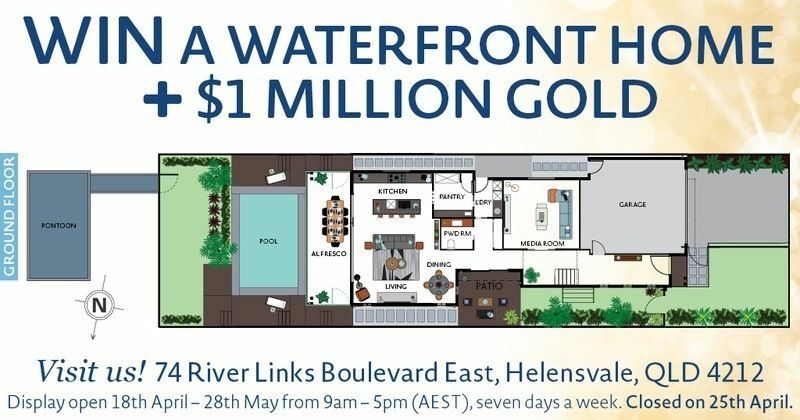 Winning a million-dollar home on the Gold Coast is pretty special but throwing in another million in gold bullion makes this a truly exceptional draw. Why not come by and see it for yourself if you happen to be in the area on June 1st. Members of the public are always welcome, so bring the family along and feel the excitement. Winners receive a written notice by registered mail and results will be published in both The Courier Mail and The Australian on Monday, June 4, 2018. Winners will also be posted to this site following the draw. You won’t be able to see what a million dollars worth of gold bullion looks like before the draw, but you can always come by for a tour of the first prize home on the Gold Coast. The residence will be open for viewing between 9am and 5pm from April 18th to May 28th, seven days a week. Note that the home will be closed on Anzac Day (25th of April). You’ll find the home at 74 River Links Boulevard East, Helensvale, QLD 4212. With $1 million in gold bullion included in the first prize package, moving to the Gold Coast is going to be extremely tempting. You could retire early or commute to the city from your retreat on the water. If you want to wait a little before taking the plunge, however, renting out the home will bring you a nice bit of income. You can expect to receive about $47,840 per year by leasing out the residence and won’t have any problem finding tenants in a tight rental market. If you hang onto the property for a few more years, you’ll be making a great investment in your future. 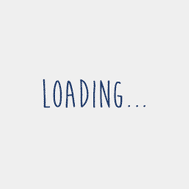 As house prices in the area continue to rise, you’ll see your winnings grow and will be able to maximise your profits when you’re ready to sell. Whatever you decide to do, you’ll be an instant multi-millionaire if you’re the lucky winner of draw #355. In addition to the $2.3 million first prize, your ticket in the RSL Art Union Prize Home Lottery could win you a second prize of $10,000 in gold bullion or the third prize of $5,000 worth of gold. Purchasing a ticket book increases your chances of winning by giving you free tickets. A $30 book gives you eight chances, which is two more than you would get if you bought single tickets. In addition, more bullion will be added to the first prize package after spending as little as $10. Thank you for supporting the RSL and the important work they do to support returned servicemen and women and their families. We wish you the best of luck in the upcoming draw. RSL Art Union draw 355 is now finished, there is now a new prize home, RSL Art Union draw 365. Which is a brand new home valued at $3,317,434. Take a look!